Cross Country is a very popular club for children in KS2 and will take place on a Tuesday afternoon from 3:30pm until 4:30pm, on the school field or at Hare Hill Park. Children will need to wear appropriate sports kit and are expected to get quite muddy. Miss Ingham and Mrs Payne are in charge of Cross Country this year. I cannot believe how resilient our Year 5/6 Cross-Country team are, as they excelled themselves at the annual RBSGP Beech House Competition. A brutal course (2.2km), much longer than they were expecting but I am so proud of all 12 of our children! They kept the pace up and pushed themselves more than usual and they really were phenomenal. Second event for the Y3/4 team and another tough race at Beech House! Super effort from all 12 runners! Well done guys! First event of the year for the Y3/4 team and they were absolutely incredible! 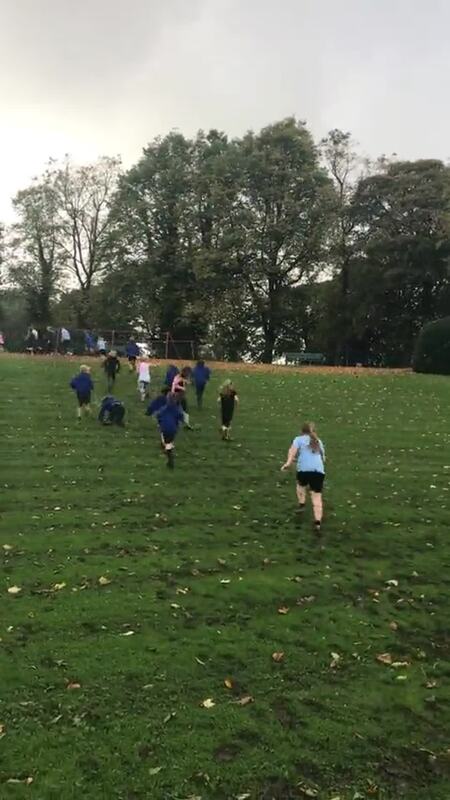 We took part in the first Pennine Schools Sports Association Cross Country event and WOW! Well done guys! GM Schools Cross-Country - On Saturday 3rd February 4 children represented HT and the borough of Rochdale. They also came Rochdale 1, 2 and 3 for the girls. Well done again guys! Y5/6 Beech House - Another gruelling race and all credit must go to these twelve children! Every child finished top 20 and really did excel themselves! The Rochdale Schools team hasn't been chosen yet but we are expecting to see many of our children running at Heaton Park this year. Superb running!! Y3/4 Beech House - The race itself is extremely hard, add in pouring rain and winds and it becomes even harder. All 12 children ran their socks off and should be extremely proud of themselves! Well done guys! First event of the year and what a start! The Y3/4 teams ran their socks off in a local competition on Friday 22nd September. We came away with four medals in total and 4 other top 10 finishes. Superb!